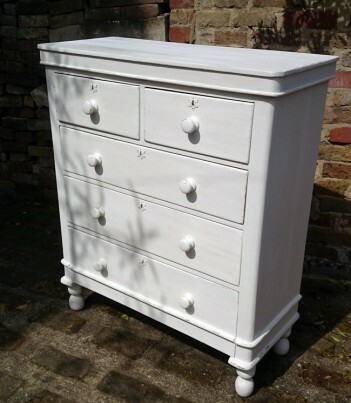 Large Victorian (approximately 1890) Pine chest of drawers with very pretty details. This has been handpainted in Grand Illusions Vintage Paint in "Sel de Mer" and then had clear wax applied. Please click on the photos to see larger images.